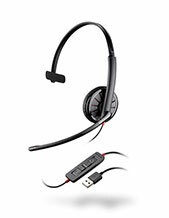 Please Note: The Jabra GN2125 Telecoil Headset is made for individuals with special hearing needs. While this headset has two earphones, only one has audio. The non-audio headphone is to help block background noises for the user. 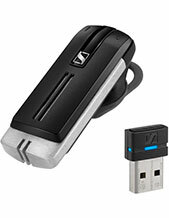 The Jabra GN2125 MS Telecoil brings a high-end headset solution to those with special hearing needs. Hearing aid users now are amble to enjoy all the health benefits and increased work efficiencies that headsets bring. The Jabra GN2125 MS Telecoil headset is equipped with a hearing aid-compatible telecoil fitted to the plain side of the earpiece. 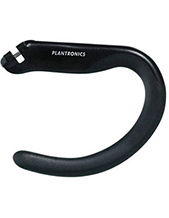 All standard telecoil-equipped hearing aides are compatible with the GN2125 Telecoil headset. The telecoil cancels surrounding background noise while heightening the sound quality from the telephone to give hearing aid users phone conversations free from interfering background noises. For best performance, you just need to place the plain side of the earpiece as close as possible to your hearing aid. The GN2125 provides all day comfort thanks to its lightweight design and adjustable boom. The GN2125 Telecoil is ideal even in noisier office environments. 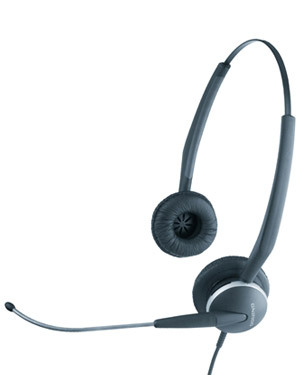 Telecoil makes the superior headset solution available to those with special hearing needs. Hearing aid users can enjoy all the health benefits and increased work efficiencies that headsets bring.